Napa, CA – The Culinary Institute of America announces Polly Lappetito as the new director of restaurants of the CIA at Copia and executive chef of The Restaurant at CIA Copia. In these roles, Chef Lappetito is responsible for The Restaurant at CIA Copia as well as additional venues to be announced in the coming months. The former executive chef at Ciccio Napa Valley, Chef Lappetito joins Chef de Cuisine Chris Kennedy Aken in The Restaurant to help the CIA realize its vision for Copia, and she is working with the team to put her personal touches on the menu and update the look and feel of the restaurant. 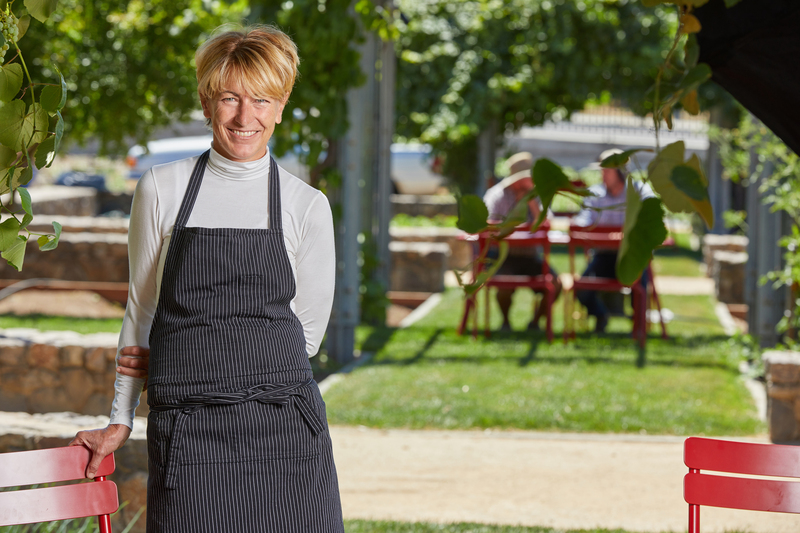 Chef Lappetito describes her style as creative yet simple and approachable, which will be reflected in the menu, service, and style in the CIA at Copia’s dining experiences. Chef Lappetito is known for her genuine approach to food, cooking, and people. Under her leadership, Ciccio was named one of the San Francisco Chronicle’s “Top 100 Bay Area Restaurants.” Prior to Ciccio, she was executive chef at the CIA’s Wine Spectator Greystone Restaurant in St. Helena. A former commercial fisherman in Alaska, Chef Lappetito is a Certified Hospitality Educator. The gardens at CIA at Copia and the CIA farm in St. Helena are sources of seasonal produce for the restaurant. The restaurant is a part of the larger CIA at Copia facility and its offerings in Napa’s bustling Oxbow district, which also include daily cooking and beverage classes, wine tastings and The Store at CIA Copia. CIA at Copia also offers a range of meetings and event spaces, providing guests with the ultimate Napa Valley destination for exploring, experiencing, and enjoying the world of food and wine. The Restaurant at CIA Copia is located at 500 First Street in downtown Napa, and is open seven days a week for lunch and dinner: Sunday through Thursday from 11:30 a.m. to 9 p.m., and Friday and Saturday from 11:30 a.m. to 10 p.m. Happy hour runs Monday through Friday from 4 to 6 p.m. Brunch is served on Sundays from 10:30 a.m. to 2:30 p.m. For reservations and additional information, please call 707-967-2555 or visit www.therestaurantatciacopia.com or www.ciaatcopia.com.